When there is joy and festivity around, one feels like making the most of it. You feel positive and want to do your best for everything, whether it’s partying outside or inviting guests at home for a house party. 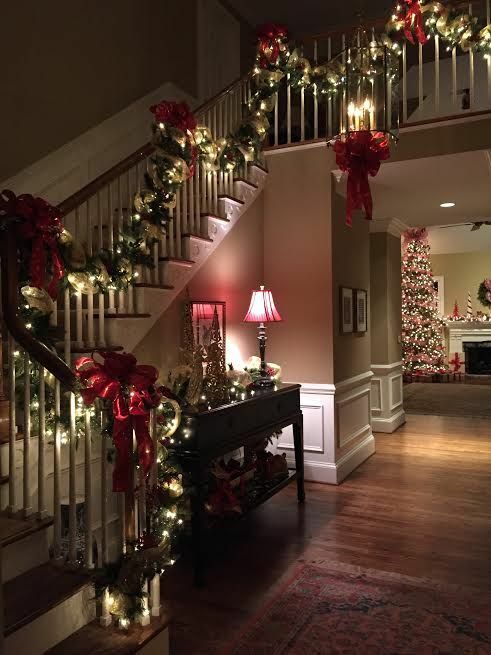 Even if you are not inviting anyone, and have kids at home, well they would certainly enjoy the idea of having a Christmas decoration at home. And why not, after all its Christmas and celebration time. 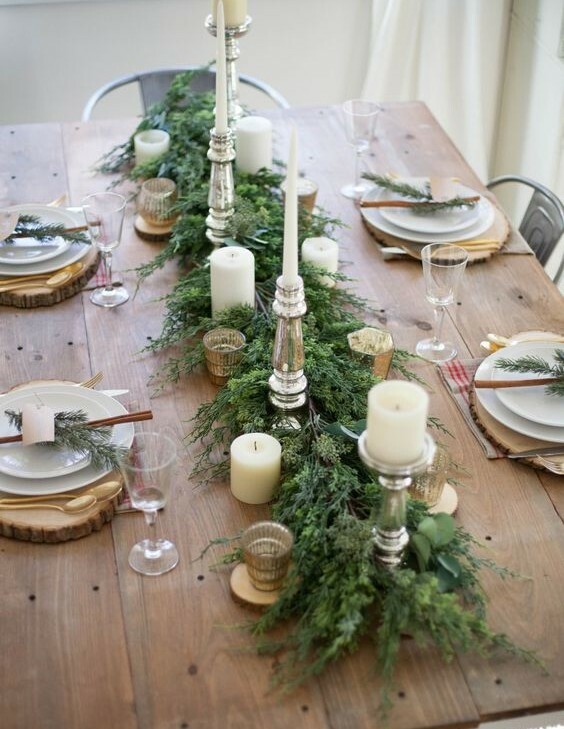 – Decorate the dining area with few leaves in the center and place few candles in different sizes here and there. You can also keep few Christmas balls if you want to go more creative. 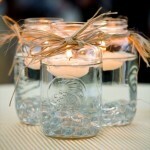 This will be a perfect decoration for a candlelight dinner on a Christmas eve. 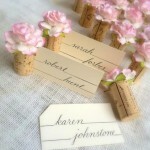 – Corks can be very useful at times for decorations. Make a slit at the top and place store bought miniature Christmas tree on it. For variation you can have two sizes, and cut the cork into half for this. 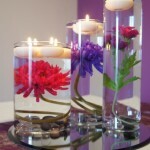 Decorate it with glitter or cotton balls for a snow effect. – Want to say the world a very merry Christmas, then decorate windows and doors. Nothing like a warm welcome like this for your guests. Lights in star shapes looks awesome. 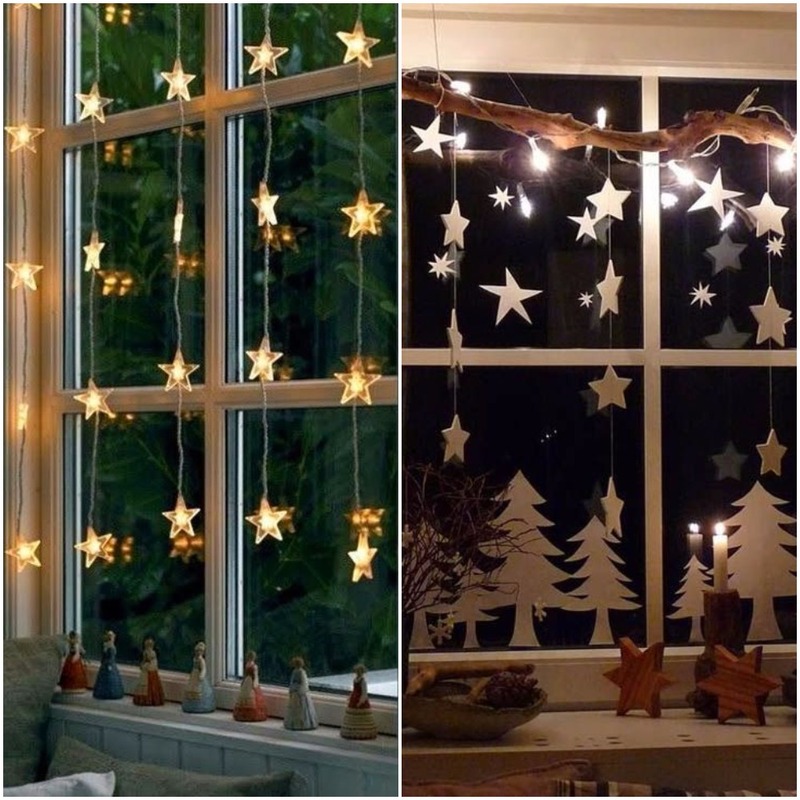 If you don’t get these lights then just place few stars made on a sheet like this and hang it from a piece of a branch. You can also stick few Christmas tree on the window for fun. 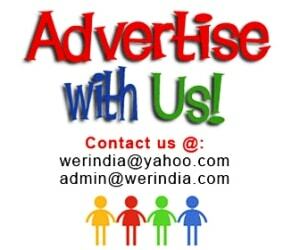 – Christmas Balls look awesome for decoration. Colorful balls in gold, silver, white and red look colorful and vibrant. 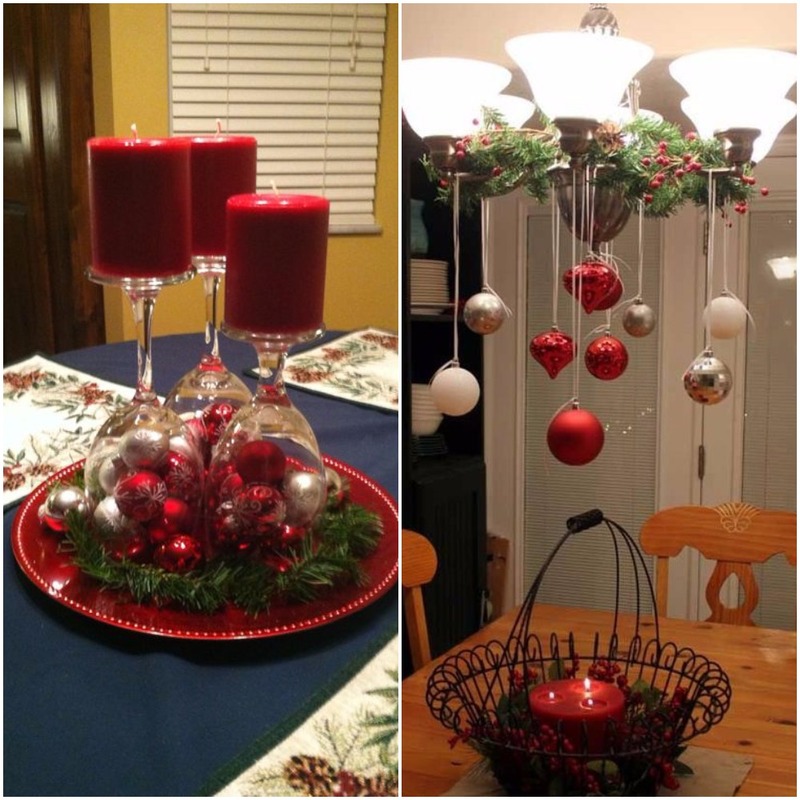 Use wine glasses to keep the balls at place, or just hang them against something.